350 community members volunteered with Great River Greening this Earth Day. 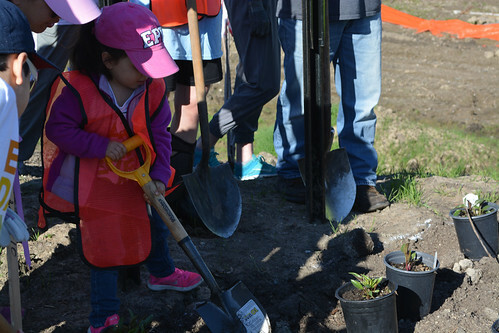 The weather was spectacular and in record time, the volunteers planted nearly 2,000 trees, shrubs, and wildflowers along Bushaway Road in Wayzata. This project perfectly encapsulates our mission of inspiring communities to restore land and water across Minnesota. We hole people will return over the years and watch it all grow. This project would not have happened with out the support of The City of Wayzata, Cargill, and BNSF Railway, who pulled the community together, and worked to preserve the historic landscape character in the road construction project.